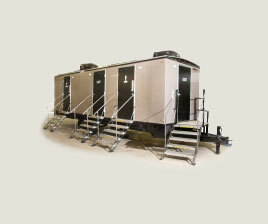 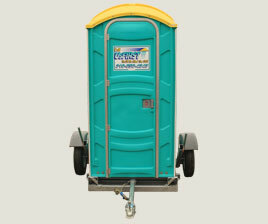 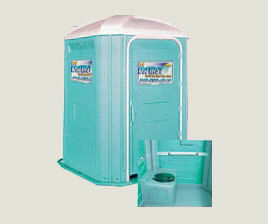 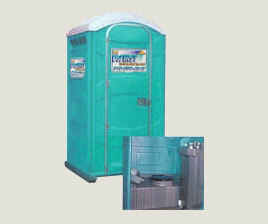 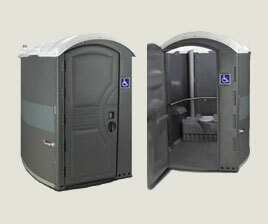 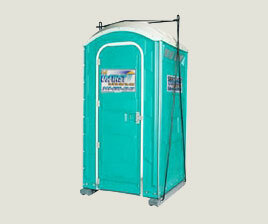 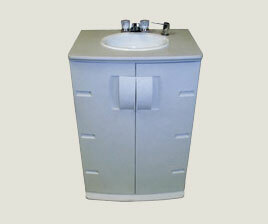 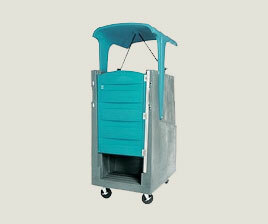 The Blue Star Restroom Trailer provides the amenities of an indoor restroom facility in a mobile form. 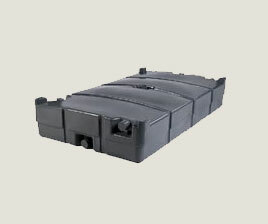 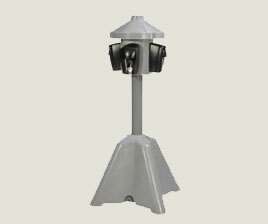 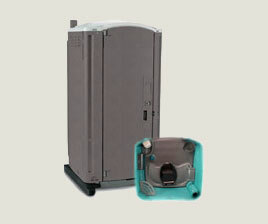 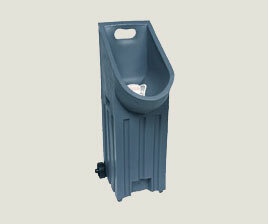 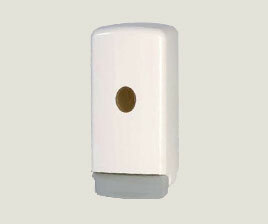 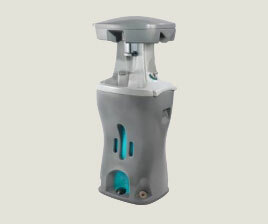 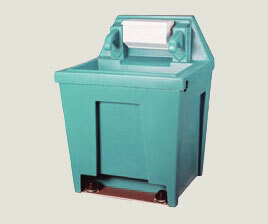 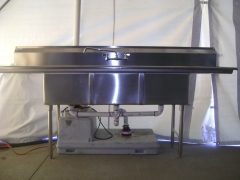 The Blue Star connects directly to a fresh water hook-up or an on-board water supply and provides porcelain flushing toilets and urinals as well as stainless steel hand washing sinks. 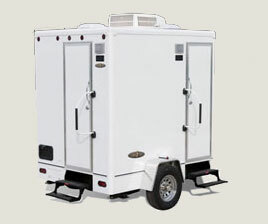 The modern design of the Blue Star Trailer provides flexibility in meeting individualized needs. 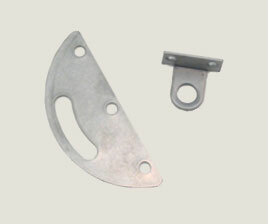 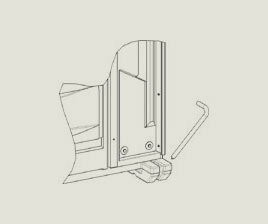 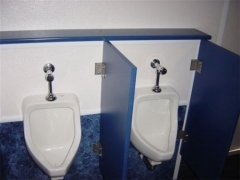 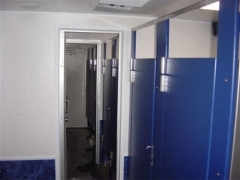 Partitions allow for customization of facilities, as the toilets in the middle may be used to enlarge either the women’s or men’s side of the trailer. 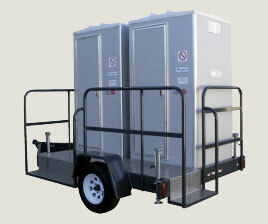 In addition, the entire trailer may be utilized as a single gender facility only by opening both inside doors. 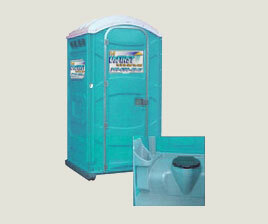 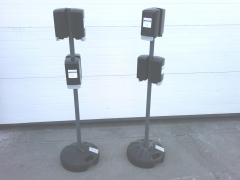 The Blue Star is climate controlled with heat or air conditioning and has ample lighting. 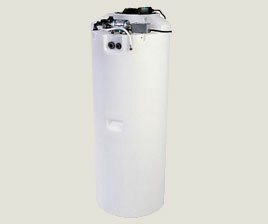 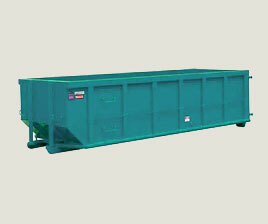 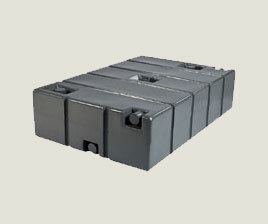 The waste tank capacity of this trailer is 750 gallons.